DONATE A CAR 2 CHARITY MAKES IT EASY FOR YOU TO DONATE YOUR VEHICLE TO CHARITY. Before you donate a car to charity, make sure that the car donation program you have chosen is a qualified, eligible, 501(c)3 IRS registered charity. If it is not a qualified organization, donating cars to them may not be tax deductible. Donors can use the IRS Web site to check that an organization is qualified by searching Publication 78, which is an annual list of most organizations that are qualified to receive deductible contributions. You can also find Publication 78 in many public libraries. Or, if you prefer, you can call IRS Tax Exempt/Government Entities Customer Service at 1-877-829-5500 and ask if the charity is qualified. Be sure to have the organization’s correct name and its headquarters location, if possible. 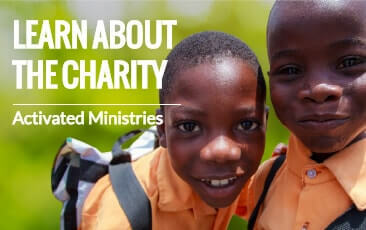 You can check the IRS status of the car charity you choose online by going to: IRS Charity Search. 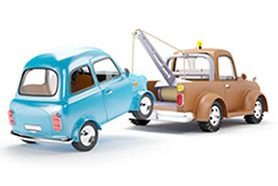 In order to claim your car donation you must itemize deductions on your personal tax return. For taxpayers, the decision to itemize on Schedule A of Form 1040 is determined by whether their total itemized deductions are greater than the standard deduction. Of course, many donors are not interested in the tax deduction and just want to donate a vehicle to charity so that it can be used for a good purpose. However, if you are interested in a tax deduction when you donate a car, you should understand that in order to obtain it, you must itemize your deductions and not just go with the standard deduction. There are many online resources for determining the fair market value of your car donation. Checking the “blue book value” will give you guidance on the general value of your donated vehicle, but you should also take into account the overall condition of your car donation when donating to charity. 'Your car donation is tax deductible and will fall into one of these categories: For low value vehicle donations you can claim the fair market value up to $500.00 without any additional paperwork besides the receipt we will provide at the time of the pickup. If you donate a car that is worth more then $500.00, your deduction will be limited to the actual sale price of your car donation. All proceeds will benefit Activated Ministries, a 501(c)3 Christian charity. If your donated car is sold for over $500, we will provide you with a receipt stating the gross sale value of your vehicle within 30 days of the sale of your donated car. We will work to get top dollar for your car donation, however most vehicles are sold "wholesale" at auctions, dealerships etc. and are frequently sold for less then the Kelly Blue Book value. For cars that are in safe and good running order that we can specifically use for our charitable projects or if we can significantly improve your vehicle before it is sold then you can generally claim your car's fair market value. Please call us at if you want to verify if this would be the case for your car donation. If your donated vehicle is used by Activated Ministries for our charitable purposes or if it is improved before the sale, we will provide you with a receipt specifying this exception so that you can claim the fair market value of your car donation. When you contact a charity that accepts car donations, make sure that they provide pickup service in your area. Many charities offer free nationwide pickup of your vehicle donation. Most car donation charities will pick up your donated car for free, at no cost to you. Make sure you ask to ensure that there will be no hidden charges when you donate a car. Usually you will need to provide a title for your vehicle if you wish to donate your car to charity. If you have lost your title, you should contact the Motor Vehicle Department in your State to obtain a duplicate title. Sometimes you can donate your car without having the title, especially if your donated car will be sold for parts or salvaged. Check with the motor vehicle department in your state to determine if you must have the title for your vehicle before donating. Many car donation programs will accept donations of cars, motorcycles, boats, RVs, motorhomes, campers and personal watercraft. If you are thinking of making a vehicle donation make sure the charity you choose accepts your type of vehicle in the condition it is in. If your combined charitable donations of non-cash items are valued at more than $500 during the tax period then you will need to fill out IRS form 8283, which can be downloaded from the IRS web site: IRS form 8283. Donate a Car 2 Charity provides fast, free, nationwide pickup of your car donation with no hidden costs to you. We pick up cars, motorcycles, boats, RVs, motorhomes, campers, trucks, vans, and personal watercraft in both running and non-running condition. We are also able to accept vehicles that have been wrecked or otherwise damaged. Remember that you can donate your car online or call us toll free at: to make arrangements for quick, no cost and hassle free pickup.